A lot has been talked about application configuration in the past. I don't know who kicked off the debate but the most fundamental reading (with a look at future Java EE 7 and beyond) is Antonio Goncalves' posting [Debate] – And what about configuration in Java EE 7. Fact is, with vanilla Java EE we all do application configuration day by day. Without having any special mechanism in place. Having seen Adam's latest post from yesterday I would like to share a slight add-on to it, which I feel could fit to most of the projects out there. and you are done. You don't have to care about properties or other configuration classes. But looking into it, you see, that you somehow need to fill your configuration from somewhere. And looking back at Antonio's post, you see that you have a lot of options doing this. 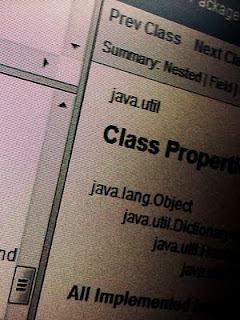 The one we are most comfortable with is probably Java's Properties mechanism. Using this in combination with the code presented by Adam you end up having a Configuration.properties with an endless list of single word keys. That's not what I would call maintainable. So basically this is why the post has the title: "Putting Bien into practice" ..oO(sorry for that, Adam!) :-) Here are my approaches to the problem. The most basic part is to add a Configuration.properties file to your application (default package). Now we are going to modify the configuration holder a bit to make it a Properties type. Now modify Adam's fetchConfiguration() method to load it. In this case you end up accessing a property with the key net.eisele.configuration.HitsFlushTimer.hitsFlushRate in your Configuration.properties file. One quick warning. If it happens to you, that you have to package separate ejb and war modules within an ear you probably need the javax.annotation.security.PermitAll annotation at your Configuration singleton. I know, this isn't half that elegant like Adam's one @Inject annotation. But:You don't have to guess a lot to see what's happening and where your value is coming from. I consider this a big pro in projects with more than one developer. Yeah. Still not very maintainable.